Back two rows (l-r): Jennifer Dorby (Cowichan Green Community); Kyle Riley (Herold Engineering Ltd.); Kevin Erhart (Nanaimo-Ladysmith Public Schools); Mark Ruttan (Municipality of North Okanagan); Simon Stocks (Hazelwood Group – K2 Stone); Ken Welte (VIREB – Sutton Realty Nanaimo). 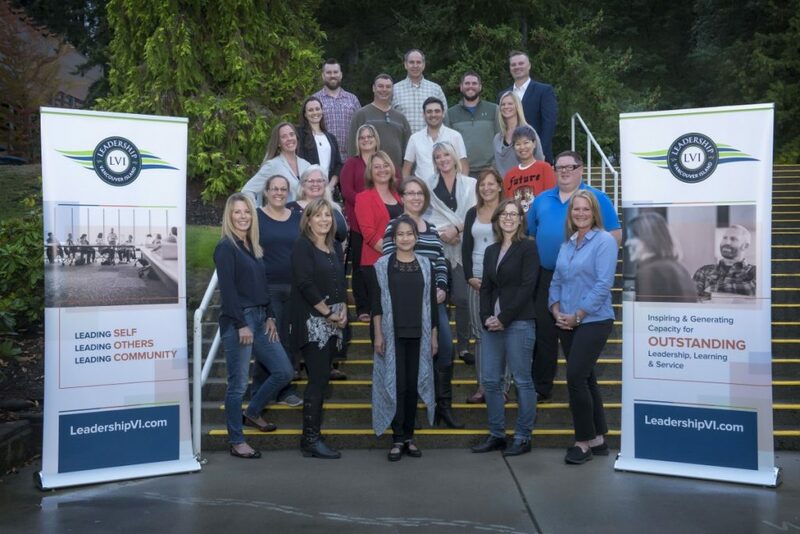 Middle two rows (l-r): Jennifer Turner (VIREB – Royal LePage, Ladysmith); Margot Croft (Vancouver Island University); Kim Clark (Vancouver Island University); Shauna DeBodt (Nanaimo-Ladysmith Public Schools); Daniel Byrne (Herold Engineering Ltd); Fohla Burton (Tigh-Na-Mara Seaside Resort & Conference Centre); Nicole Minions (VIREB – Royal LePage, Comox Valley); Bingyi Zhu (Vancouver Island University). Front two rows (l-r): Pam Graham (Nanaimo-Ladysmith Public Schools); Teena Webb (49th Parallel Grocery Stores); Shelley McKay (VIREB – Royal LePage, Campbell River); Daisy Beluran Bereska (Central Vancouver Island Multicultural Society); Sarie Cooke-Yarborough (Vancouver Island University); Cheryl Olsen (Costco Optical); Bren Pickel (Cowichan Therapeutic Riding Association); Steven Peters (Harris Auto Group – Oceanside); Colleen Gale (Nanaimo-Ladysmith Public Schools).